Call your veterinarian at the first sign of gerbil illness. Pet gerbils are stoic, so they won’t show signs of sickness until it has progressed significantly. Separate your pet gerbil from other gerbils. Give it its own environment with clean bedding and plenty of food and water. Raise the temperature around the pet gerbil by 10 degrees Fahrenheit. Make sure the cage humidity is low. Pet gerbils commonly get skin infections, so keep the environment dry. Encourage your pet gerbil to drink water. Try using a syringe without the needle to administer water. Try feeding it soft foods like strained cream of corn. Give your pet gerbil a bath. If its fur is soiled, spot-clean with a wet rag. Nurse your sick pet gerbil for a couple of days. Call your veterinarian immediately and ask for advice. 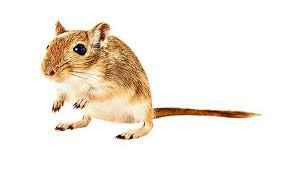 Pet gerbils are precious creatures and they should be with us for as long as possible. Always take your sick gerbil to the veterinarian and don’t assume the worst. 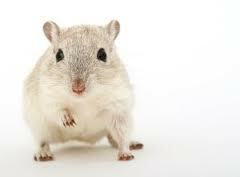 In many cases, treatment is effective and your pet gerbil will return to its happy, playful self.